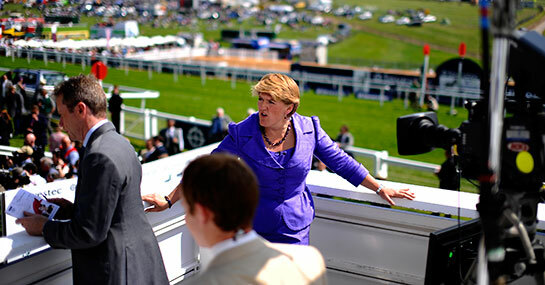 The C4 cameras are three-handed this Saturday with coverage of eight races from Kempton, Newcastle and Lingfield. Below are previews of all contests including the Winter Derby Trial Stakes, Betfred Eider and what was formerly known as the Racing Post Chase. A wide-open contest with more runners holding legitimate claims of landing the prize than do not. Hawkeyethenoo has to be considered but a 16-race winless run would understandably put potential investors off and so the advice is to take a chance with Rummaging now that Shane Foley retakes the mount. Michael Hallford’s consistent six-year-old has only been out of the frame once with the Irishman on board and they have been successful together the last two times they have teamed up. A smaller field but still one where the majority hold strong chances, none more so than Activial for rising star of the training ranks, Harry Fry. The 26-year-old is continuing to fire in the winners from his relatively limited resources, with three of his runners crossing the line in front from just eight chances this fortnight. His French recruit made his debut last November at Newbury, finishing second to Calipto who followed up that victory with a five-length win this month at the same track. That bodes extremely well and he has to be the selection. Rebecca Curtis’ debutant Agreement has to be respected with Barry Geraghty in the saddle, especially if the market spoke favourably. The main protagonists are represented by stables struggling to find the target at the moment and so attention should be turned to Grate Fella from Sue Smith’s in-form team. Last year’s Grand National winning trainer has saddled six winners from the last 19 sent from Smith’s Bingley base and although her six-year-old couldn’t follow-up his New Year’s day Catterick win, when sent off favourite at Market Rasen at the beginning of the month, he has bounced back from defeat to win before and so it isn’t difficult to envisage a repeat of the pattern. Alan King’s Balder Success has shown more ability than all of his opposition but those wanting to invest in the Arkle-bound six-year-old will likely have to do so at odds-on. King’s star was bitterly disappointing in the Racing Post Chase at the beginning of December but was back in the winners’ enclosure next time at Warwick and is very much the one to beat. For those wanting to avoid the short price they needn’t look any further than the hat-trick seeking Loose Chips, who although undoubtedly would need to improve again could spring a surprise for his trainer Charlie Longsden who is having no problem securing maximum prize money at present. Emma Lavelle’s Fox Appeal needs a mention after demolishing a Grade 2 field by 20 lengths at Ascot on his penultimate start but he couldn’t back that up next time at Doncaster and in the last two seasons he has developed a frustrating knack of coming second and third rather than overcoming all. A real minefield of a contest but none will arrive in better heart than Malcolm Jefferson’s Sun Cloud. On a hat-trick after impressive wins at Hexham and Catterick in December and January respectively, Brian Hughes’s partner has turned his season around after a disappointing season and with the stable looking threatening with over 70% of their runners in the last fortnight making the money he could be the answer. Of the remainder, Relax requires consideration having scored twice from his last three attempts and with Venetia Williams’ yard in such good form it would be no surprise to see another big Saturday winner go the way of the Herefordshire handler. The Paul Nicholls-trained Irving is Cheltenham bound regardless of what happens here but a first defeat on these shores would raise serious question marks about his chances for next month’s Festival. Unbeaten in three starts this season, the son of Singspiel is still improving as shown last time when lowering the colours of the highly fancied Nicky Henderson recruit Volnay De Thaix at Ascot in December. Standing in his way is Alan King’s First Mohican who really impressed on his first run since switching from his career on the flat where he recorded four wins in his first five starts. Despite Robert Thornton dropping the reins on the run-in the Henry Ponsoby-owned six-year-old recovered well to score in a competitive field and it’s easy to see why he is predicted to go off so short in the betting. It’s extremely tough to pick between the two but preference is for the latter who could emerge as a much more likely Cheltenham contender than his main rival. Ryan Moore’s mount Grandeur has got better form than many of these put together and has a terrific record when sent off favourite. Jeremy Noseda’s nag was far from disgraced when only three and a quarter lengths adrift in the Group 1 Hong Kong Cup at Sha Tin back in December and should win with a degree of comfort if reproducing a similar level. Certain to go off the market leader, the five-year-old has rewarded favourite backers on five of the seven occasions he has been sent off the jolly and has never finished outside the frame. The very fact that his trainer feels confident enough to send the son of Verglas to the likes of Hong Kong and Arlington – where he also finished a close seventh in the Million Stakes – says everything about highly he is rated at home and the advice is not to look for an alternative. Mass defections have diluted the excitement of what could have been one of the highest quality renewals for years, but despite the change in make-up the complexion of the race remains a fascinating one. Paul Nicholls’ January Ascot winner Bury Parade looks likely to go off favourite as part of a three-hand assault from Ditcheat as Nicholls bids to put further breathing space between himself and Nicky Henderson in the race to be champion trainer. However, despite the solid claims of the likely market leader the prize could be heading back to a more familiar mantelpiece – that of Philip Hobbs. No one in the race’s history has been more successful than the four-time winning trainer and his sole representative Planet Of Sound could be the answer at a bigger price. The 12-year-old was a course and distance winner just over a month ago and has put two disappointing efforts in the Cheltenham and Aintree Festivals at the end of last term behind him.